What Does Level 4 Mean? Making better rubrics. A couple of years ago I was teaching Géographie to the French Immersion students at my school. I had just recently attended a workshop by Garfield Gini-Newman on Critical Thinking skills and was trying to approach my Geography curriculum through questions that would require my students to think critically. After working on this answer structure, my students’ marks increased significantly because it prompted them to really explain their thinking and justify it with specific examples from what we’d been learning. Full sentence answer that contains the question within it. Because . . . . For example . . . .
How have you used teamwork to become a better leader this year? Many gave vague, broad-sweeping statements such as “teamwork is really important because, without each of us helping, we couldn’t run the events that we do”. While true, this sort of answer doesn’t tell me much about their personal teamwork experience, nor does it explain how teamwork made them a better leader than if they had done it alone. 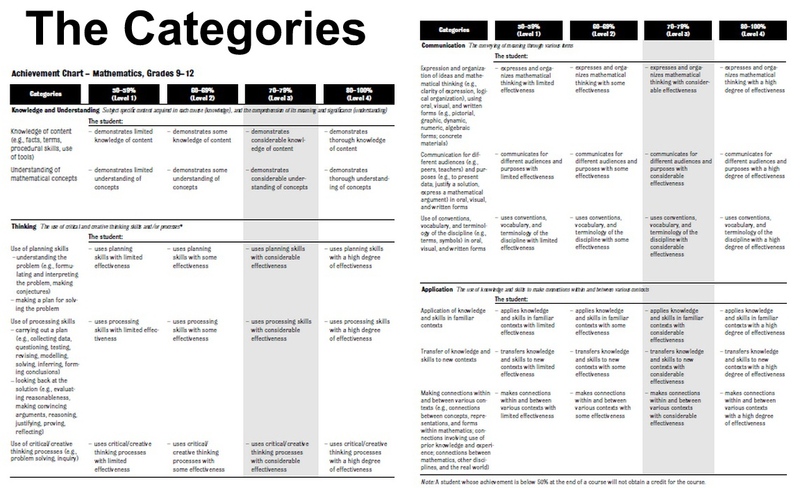 The descriptors are those given in the curriculum documents themselves. But I’m not sure it really tells the students what a level 4 answer entails. Not that you have to give away the answer to the question, but they should know what a “considerable” response entails in order to get a level 3. In math class I teach my students through exemplars; we assess solutions together (moderated marking) as a class so that we all have a clear understanding of what each level of achievement looks like. So now there will be no question about what I am looking for in their answers. I know it’s a busy time of year with exams and summatives to mark as well as prepping our new classes for Monday, but I think it’s so important for us to take time also to reflect on what worked and what didn’t this past semester. So as I complete my marking, I also write “next time …” notes to myself to remind me of how I can improve based on what I’m observing now. Part 3 of 4 in a series of blog posts about Standards-Based Grading. The first step is to decide which overall expectation(s) [OEs] you will be evaluating with the current task. You may evaluate more than one OE at a time. Then you’ll need to design a task or a set of test questions that allow your students to demonstrate their ability or knowledge for that skill or content. I find it helpful to organize my test so that all of the questions for a given OE are together (as opposed to grouping them by the categories – K/U, T, C, A – as we used to do). 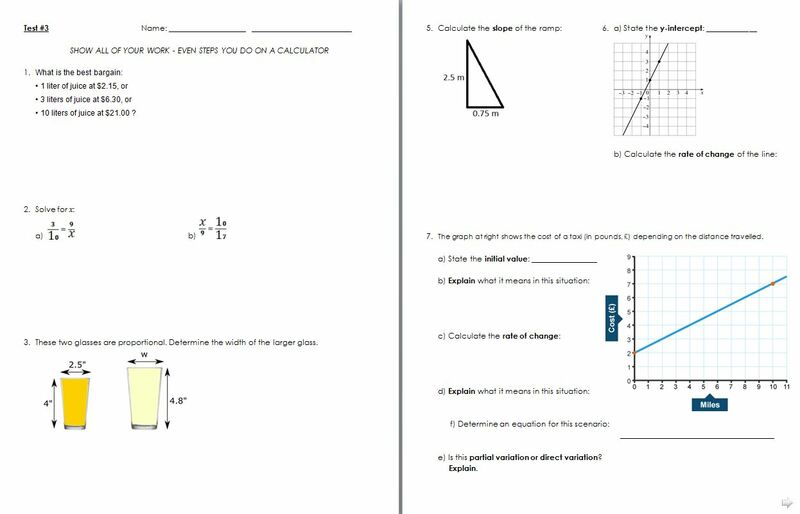 For example, in the grade 9 math test below, each page has questions for one of the 4 OEs being evaluated. Additionally, I have organized each page so that the simpler problems (more K/U or level 1-2 type questions) are first, near the top of the page. 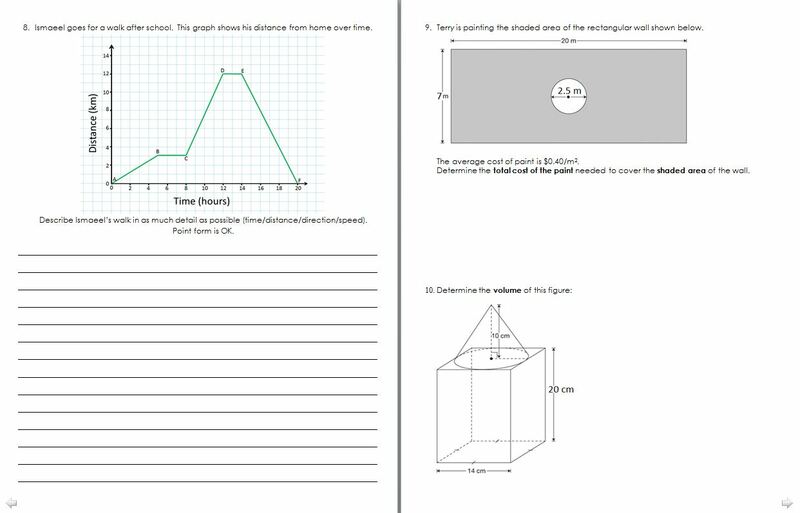 The more complex problems (more Application or level 3-4 type questions) are at the bottom of the page. No, it is not. In fact, you could simply print out the achievement chart rubric from your curriculum document and attach that to your task or test. 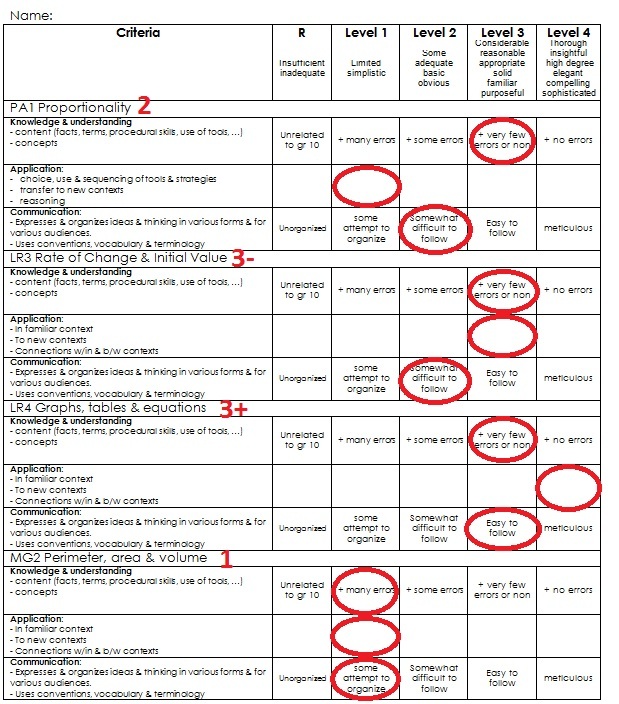 However, I find that rubric too wordy (the students don’t bother reading it) and sometimes too vague for a specific project. I check off the appropriate level for each of the 3 categories – which then allows me to determine an overall level for that OE. I do this 4 times; once for each OE (which also happens to be once for each page of the test since each page corresponds to a separate OE). At the end, I return the test & rubric to the student with the 4 levels. There is no “overall average” on the test, the student attempted for 4 different skills/expectations and so receives 4 separate levels of achievement. How do we record these levels in our mark book? For that, we have Evidence Records. Do you have a test w/ a rubric you’d be willing to share here for colleagues in your subject area to see?